One One Eight @ Island Plaza is a remodelling project of the previous Island Plaza Tower office lots. 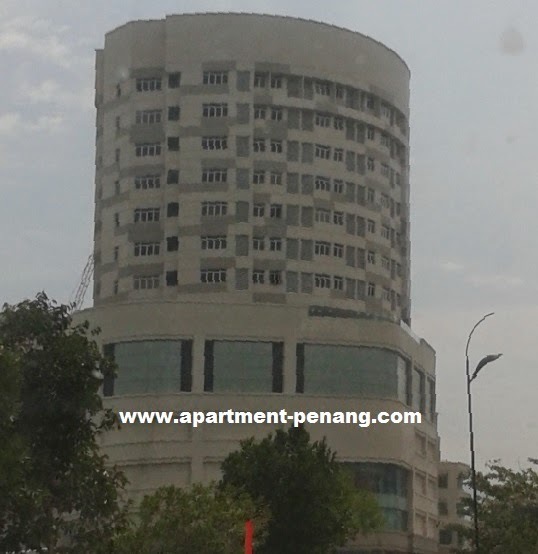 It is located at Tanjung Tokong, Penang comprises 106 commercial suites (SOHO units). Built-up Area : 484 - 1,162 sq.ft. What does it means by SOHO units ? Is it commercial units for commercial operations ? But the decoration looks like it is for residential purpose. So, it will be residential property, but at commercial rate ? Electric bill is commercial rate. So, basically you sleep in your office ?? Very funny concept, let's see if it catches on in Penang. 118 really great!!!! the developer also very strong for finance ... quality great!!!! I manage to sneak into one of the level before it started refurbish and do partition somewhere middle on this year. Facing sea type B middle unit has an awesome view. Unfortunately I did not want to purchase because the unit cost was at the high side and the rental I need to collect at least RM2000/mth which I doubt people are willing to spend for a 600sqft unit given the pass history of Island Plaza commercial units occupancy. Anyway if you decide to make it as your office or to keep your mistress I believe would be a superb investment. Can also mean shop office, home office. anyone know the price or contact of developer? Henry Butcher Penang is the exclusive marketing agent.You may wanna check with them. Few Units in hands for rent or for sale !